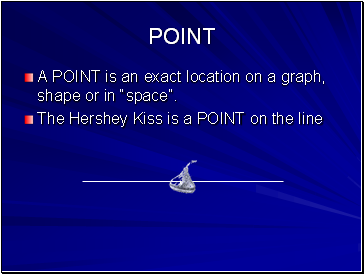 A POINT is an exact location on a graph, shape or in “space”. 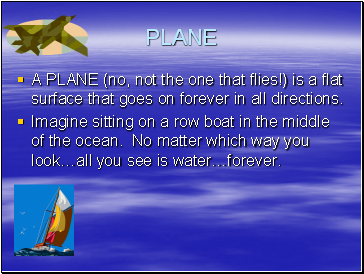 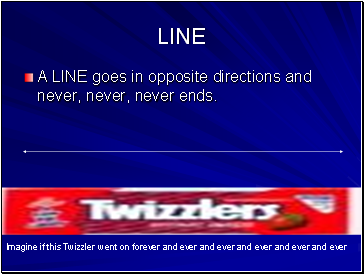 A LINE goes in opposite directions and never, never, never ends. 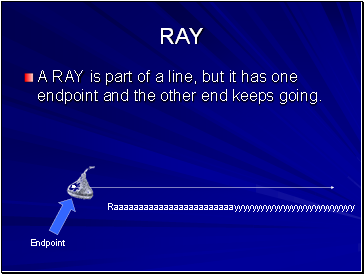 A RAY is part of a line, but it has one endpoint and the other end keeps going. 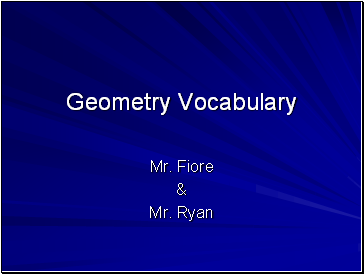 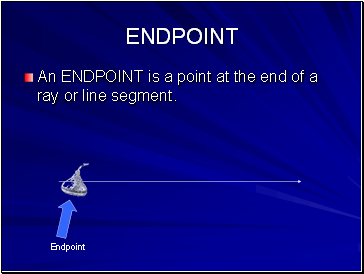 An ENDPOINT is a point at the end of a ray or line segment. 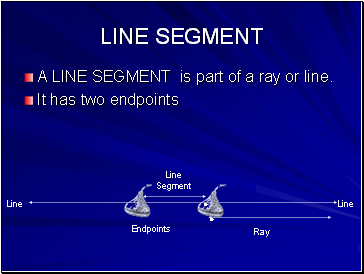 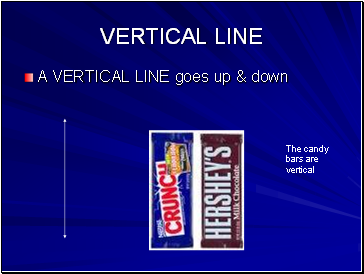 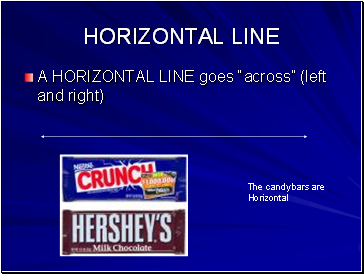 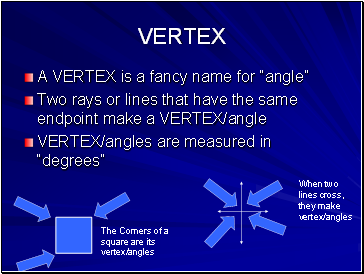 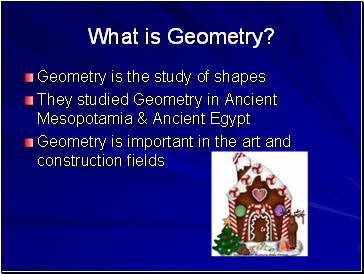 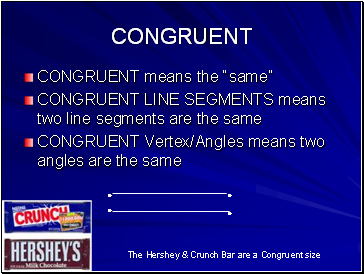 A LINE SEGMENT is part of a ray or line.